This week I had some stellar book mail. This week marked the first time I received the big promotional package from a publisher. I am beyond thrilled to be included. Thank you Disney-Hyperion! Deep Blue by Jennifer Donnelly, Dark Metropolis by Jaclyn Dolamore, Far From You by Tess Sharpe, Don’t Look Back by Jennifer Armentrout. For fun we created my avatar picture with the mask Disney sent in the Summer of Chills package. OMG, LOVE your lil avatar!!! SO cute!!! What a great stack of books you received this week! I cannot wait to read Don’t Look Back and Far From You! The avatar cracks me up, thank you 🙂 I just stared Don’t Look Back and so far it’s really good. Thanks for stopping by! OH man all those books look so good I’M JEALOUS! You received some great books this week! I’m especially looking forward to reading The Ring & The Crown. Thank you Amy. 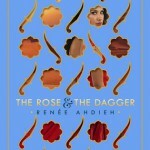 I love the cover and summary of TCaTR. I’ve not read a book by the author before so I’m excited to read. Wow! 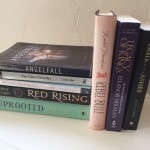 You got some really rad books to review! I’m jealous! Thanks Michelle. I had to drop everything to start reading them. I started on Don’t Look Back and it’s good so far. The HC of Death Sworn is very pretty…I enjoyed that one a lot. I hope you get yours soon. I couldn’t believe I got these packages this last week. Shocked and amazed. The cover is incredibly beautiful. I can’t wait to read it! I hope you love it when you read. Thank you so much Amber! It was a great surprise to receive them. 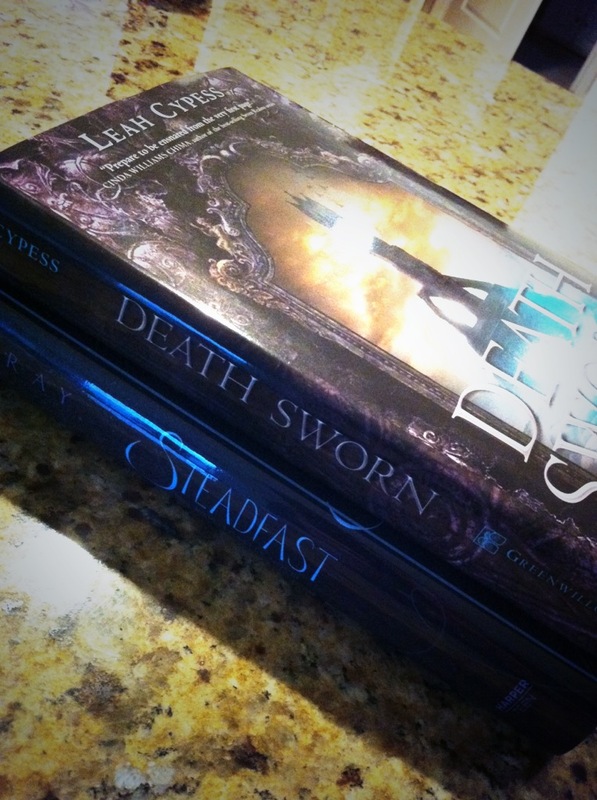 I actually really enjoyed Death Sworn…I’ll be curious to hear what you think. You got some awesome books this week! I love the cover from Death Sworn and I can’t wait to read The ring and the crown – the blurb sounds so good 🙂 Happy reading. Love the avatar. Legos rock! Great haul hope you enjoy them! Thank you Mary-I gotta agree Lego does rock! Yes, many new books and I can’t wait to get to them all. I started Don’t Look Back and I’m enjoying it a lot. Thanks so much for stopping by Keeley. That is right! Disney is amazing. I am so glad you loved The Ring and The Crown. I’ve not heard any opinions about it yet. I really enjoyed Death Sworn too. I love fantasy too–one of my favorite genres too. Have a great weekend too! Thanks Emma. I started Don’t Look Back and so far it’s really good. I hope you love it. Disney Hyperion is awesome for sending you that package. Deep Blue has some nice packaging. I love Disney-Hyperion very much…I can’t wait to read these. 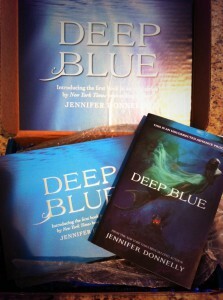 Deep Blue looks amazing…I love that cover and blurb. Thanks so much for stopping by Grace. This is so awesome! I cannot wait to get my first print ARC and things from publishers! I know I probably have a ways to go before that, though! Congrats ad happy reading! Thanks Tiffany! Are you new to blogging? It is amazing when you start getting print arcs. I’d gotten one offs before but never one of the press packages. It was the best feeling. Thank you for stopping by! What is Summer of Chills? 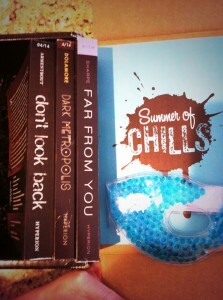 Summer of Chills is just what a press package that Disney sent out was called. It included their summer thrillers. Yay to book mail and The Ring and The Crown! I hope we both love it! Awesome haul! 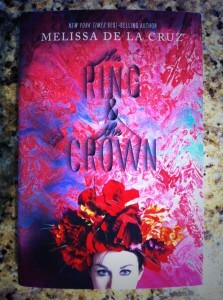 The Ring and the Crown is one of the most gorgeous covers I’ve ever seen. Deep Blue sounds really intriguing, there’s been a few underwater and mermaid books out this year, but so few have been worthy. And your avatar is just too cute! I love the Lego bookcovers, you should really be charging authors to create them. So talented! 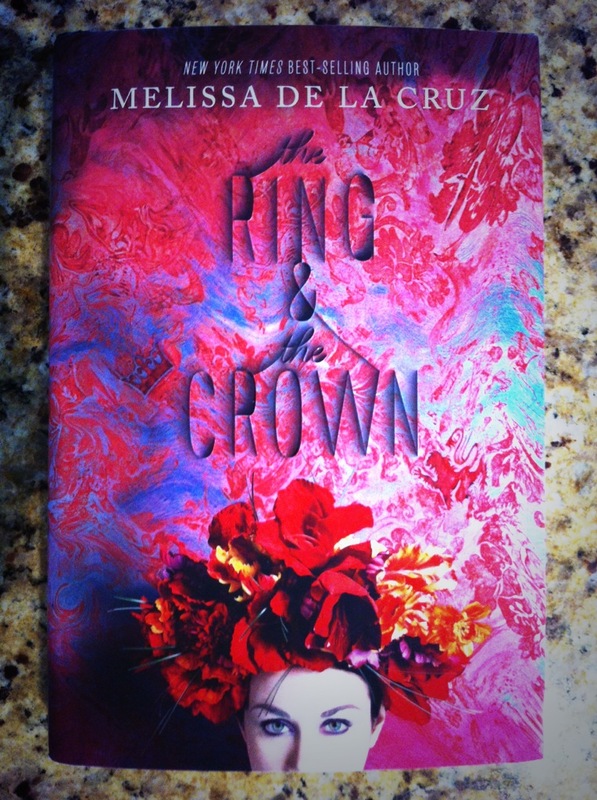 The Ring and The Crown has a beautiful cover indeed. I hope it’s an amazing read. I’ve yet to read an underwater book that has been that great so I’m hoping Deep Blue fills that gap. Thank you so much for loving the avatar…and haha, I’m honored you think they are amazing enough to charge for 🙂 Have a great week Kelly! I love your avatar! Sometimes I wish I lived in the US, so I got to go to events and actuakly have a chance of getting those amazing packages but I am already drowning here with books, yikes. The Ring and The Crown looks gorgeous! Thanks Melanie! aw, I wish the authors and such would be able to do events where you are. I know what you mean about drowning in books. A great problem really. Lots-o-good books there 🙂 I can’t wait to see what you think about Deep Blue. It’s upsetting that it already has a relatively low rating on Goodreads even though there’s not a single written review that has given it a poor rating. I think some people are just upset that instead of writing another, more serious historical fiction, Donnelly’s written a fantasy this time. Whatever the reason, it’s not cool. I agree Jessica! I was looking at it on GR and noticed that too and thought how strange for it to have a lowish rating. I’m hoping it’ll be amazing. Thank you Kel! I’ve already read Don’t Look Back and I’m excited to get to the others. Thrillers aren’t my normal genre but thinking I need to add more of them to my reading. I love your new updated avatar! So cute! Congrats on receiving the big publisher promotional package! 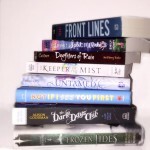 And it seems like it was a pretty awesome book haul! That little mask avatar is so cute! I still need to read Death Sworn, and I’m undecided on The Ring and the Crown. I didn’t care for de la Cruz’s last book, Frozen, but maybe this book will work better. Enjoy, Kristen! Thank you Stephanie! Death Sworn has gotten mixed reviews but I enjoyed it. Not sure what you’ll think. You must let me know. I didn’t request The Ring and the Crown because of the reviews of Frozen but I’m excited to read it now that I have a copy. I’ve seen some folks really loving it too. That is a very trendy mask on your lego face. 😉 I’d loove to read The Ring and the Crown. There’s just something ABOUT that cover. It’s all whimsy and kind of eery. Love. Haha, it seemed that I had to do that to the avatar. I really love the cover too…the colors are so pretty. I hope the inside lives up to the beautiful cover. Amazing haul, I have far too much book envy right now! Congrats on getting that amazing package. I hope you enjoy your books 🙂 My STS. Thank you. Luckily all the books are coming out sooner than later. I read Don’t Look Back and I’d recommend it. Was a great fast paced thriller. I was so surprised when that Summer of Chills box arrived because I had already received the titles for this season I’d requested. They must really be wanting to push these particular three. I’ll have to give them a shot. Enjoy! Looks like we have a pretty similar batch of books to read/review! I’d received the titles I’d requested too. I’d not requested any of the book in the package but I’m super happy to have them. these upcoming books look fabulous. So excited about Dark Metropolis. I have had my eye on that book since I Heard about it. I put in a request at Disney for a copy but I didn’t request the others in the promo package so I don’t know if I will get it, but I am crossing my fingers! Some how I’d not seen much on Dark Metropolis. It looks amazing so I’m happy it was included. I have my fingers crossed for you that you get it to review. Enjoy! Ring and the Crown was a bit of a soapfest, but it has a really inventive premise and I thought it was a lot of fun. I didn’t get the package, but I also have an ARC of Dark Metropolis and I’m really excited to read it! Deep Blue! I’m really intrigued with that one – I hope you’ll enjoy it Kristen! And I’m curious to see what you think of The Ring and the Crown!